You are where you stay. What you eat. And what you see. 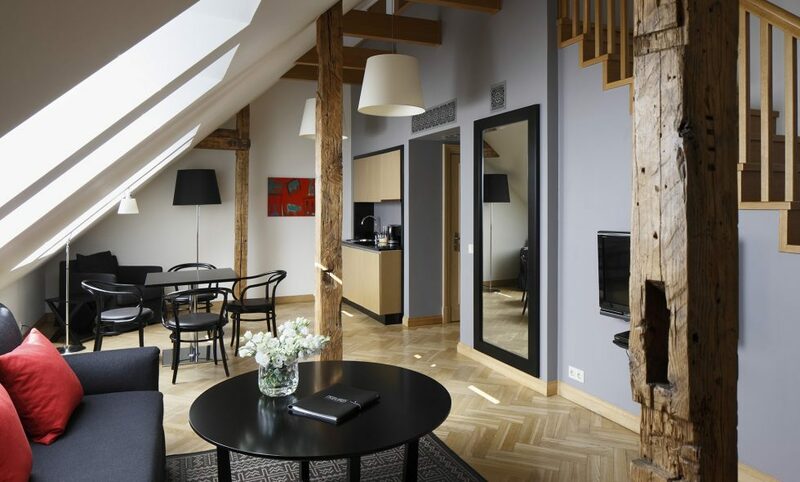 Neiburgs is a family-owned hotel praised for its elegant fusion of the historical and the modern. 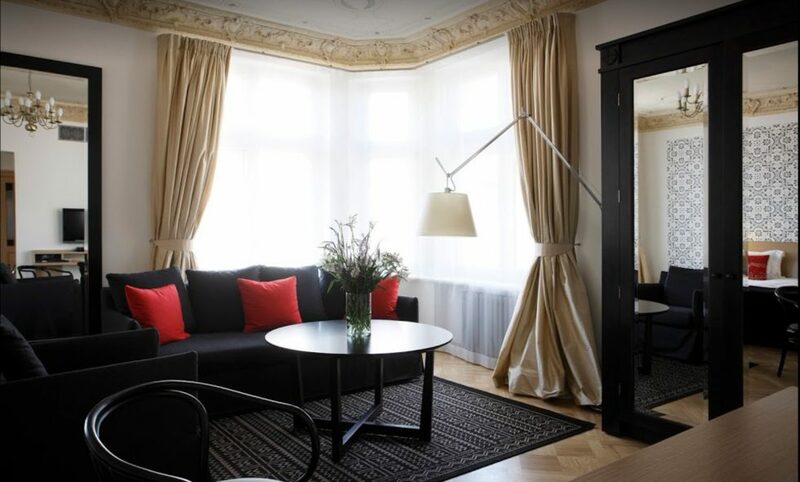 Our guests are welcome to book any of our 55 rooms, which offer breathtaking views of the stately Dom or the meandering medieval streets of the Old Town. For our guests' convenience and enjoyment, there is a restaurant, business center, conference rooms, as well as a fitness room and SPA. Concierge service is quick and efficient and always at their disposal. 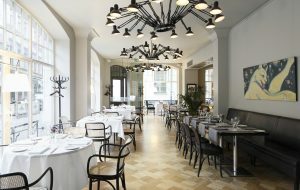 That's why we opened our hotel in the only art nouveau building in Old Riga and why our interiors are elegant, yet rich in detail. 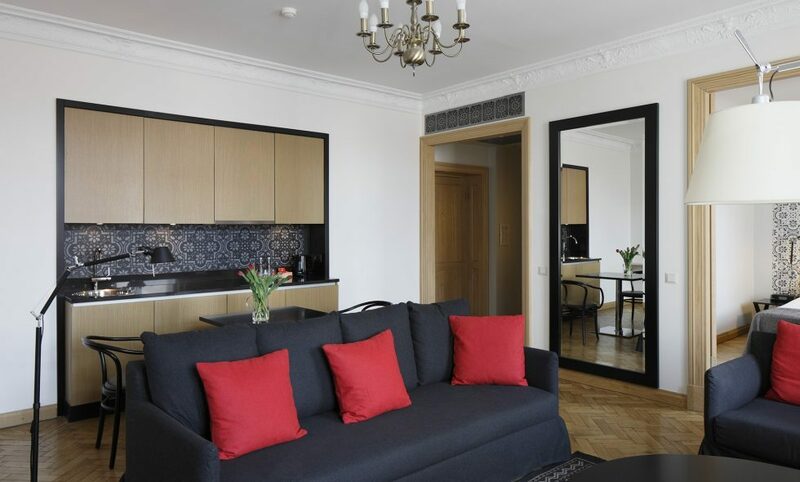 Filled with lots of light and created for you to enjoy the luxuries of full service, the suites are equipped with a kitchenette, a fully functional workspace and comfortable bed. Designer furniture and lamps, parquet floors, natural silk curtains and historical details will satisfy your aesthetic sensibilities. Our cotton bedding and towels are soothing and comfortable for the most delicate skin. Each room has a personal touch - original graphic art by Katrina Neiburga - serving as an affirmation of the family values essential for our hotel. A luxurious living-room with a built-in kitchen and large table on the first floor, and a bedroom, comfortable workspace and spacious bathroom on the second floor. 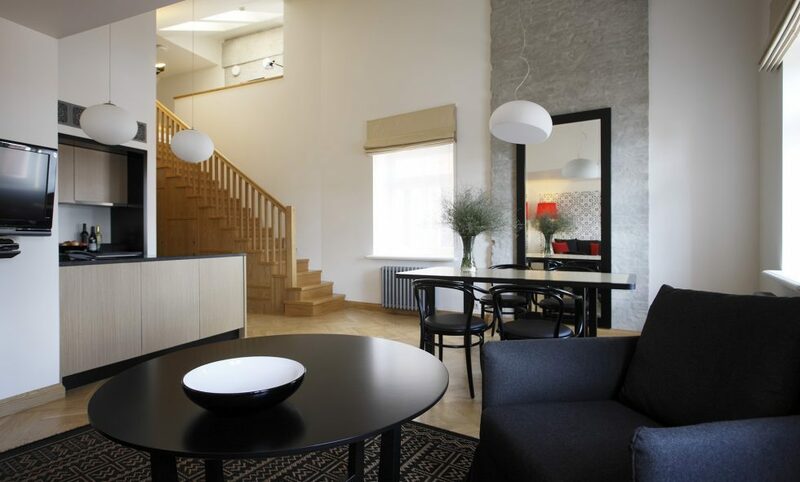 A spacious living-room with a built-in kitchen on the first floor, and a bedroom, comfortable workspace and a luxury bathroom on the second floor. Some of the suites can be connected to the adjoining Studio room for a comfortable family dwelling. A luxurious, spacious living room with a built-in kitchen, comfortable workspace, bedroom, and well-appointed bathroom. A view of Riga's Old Town. Some suites have a balcony. A luxurious and spacious combined living and sleeping area with a comfortable work station and well-appointed bathroom. A built-in kitchen with a dining table in a separate recess. Combined living room and bedroom with a built-in kitchen and a spacious bathroom. Armchairs or couches, and a comfortable workspace. Along with traveling, good food is one of our passions. 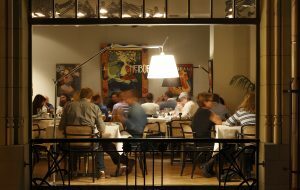 That's why, in addition to a luxury hotel, we opened a restaurant for you to enjoy the Old Town street scene through the building’s large windows while having a leisurely meal. In a room decorated with paintings by Kristiana Dimitere, on an open-air summer terrace or in Neiburgs' restaurant bar, our guests are welcome all-day long. The wonderful ambience enhanced by delightful music tempts visitors to start their day with a rich buffet breakfast, rush in for a splendid business lunch or spend a slow evening enjoying wines from our exquisite wine list alongside a gourmet meal. Visitors can try delicacies from either local or international cuisines. In his cooking, our chef uses seasonal and local products to change received notions about what true culinary art is all about and puts Latvian traditional tastes on the map. 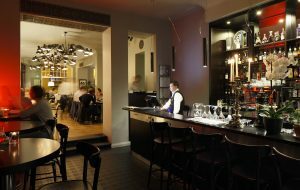 Wines carefully selected to complement the menu, beer from local breweries, classic cocktails and special seasonal beverages. Choose from three kinds of salads or soups, three main courses and two desserts for a hearty lunch for a fixed price. Seeing is believing. 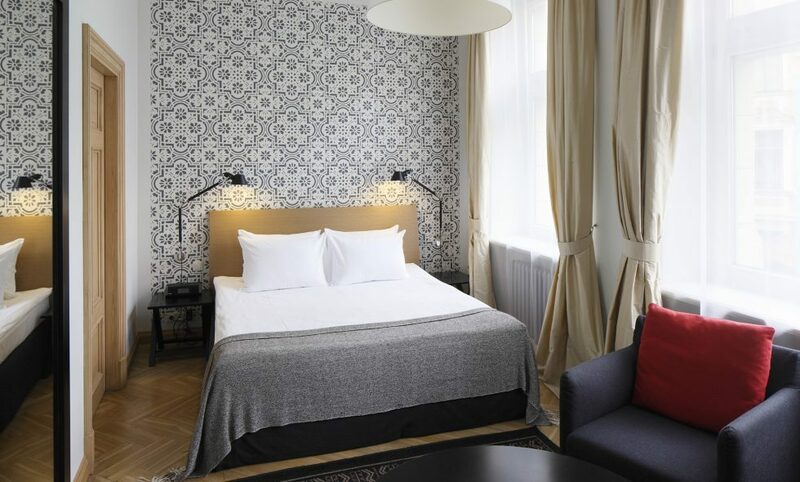 Our location in the heart of Riga Old Town, a UNESCO World Heritage Site, will make you believe in the hushed stories of Riga’s magnificent beauty. Our guests have the opportunity to marvel at the quiet beauty of the old streets, surrounded by the most iconic buildings in Riga. The stately Dom is right next door to the hotel and can be appreciated close up from many windows of the hotel. The historical center encompasses the Blackhead’s House and St. Peter’s Church, while a short walking distance away one can visit the beauty of the National Opera House or The Great Guild Hall.